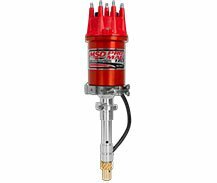 The Pro-Mag generates the highest current possible and precisely controls its delivery to the coil and plugs with perfect consistency. 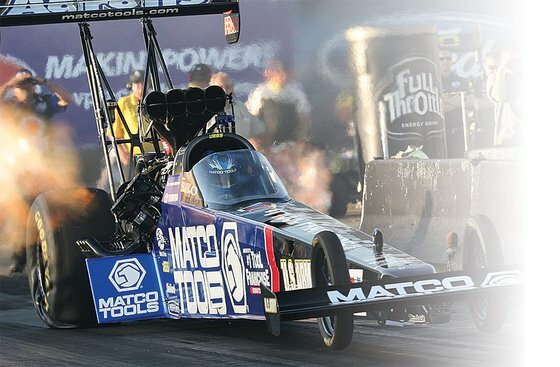 The Pro-Mag delivers unequalled power with the most accurate triggering and timing control in the business! 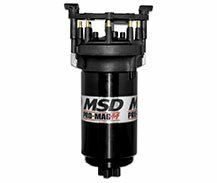 The Pro-Mag is the only maintenance-free magneto available. The Generator never needs to be recharged. The Magnetic Pickup never needs adjustment. Batteries never need to be replaced like traditional magnetos. The Pro-Mag allows you the option of running timing controls. You can also utilize a crank trigger for the utmost in timing accuracy. 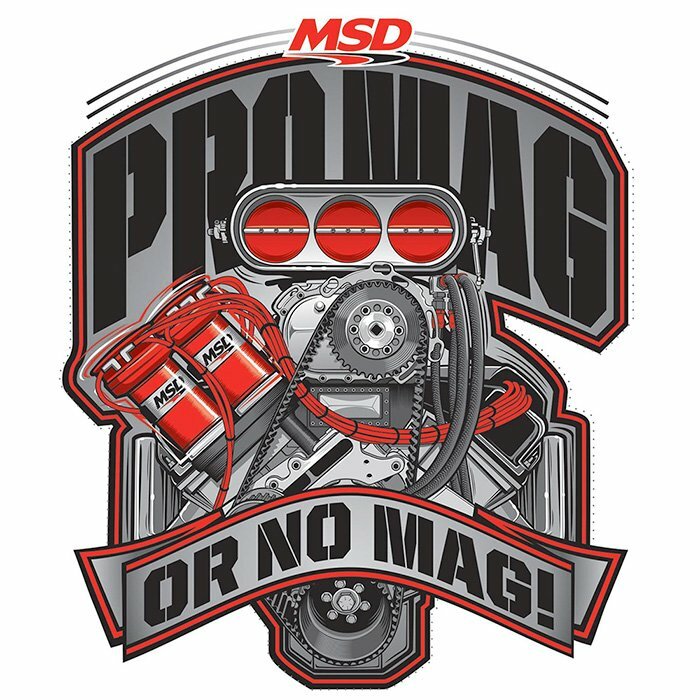 Take a walk through the pits at any professional race and note the dominance of MSD Pro-Mag components. This is proof positive of MSD’s superior performance. 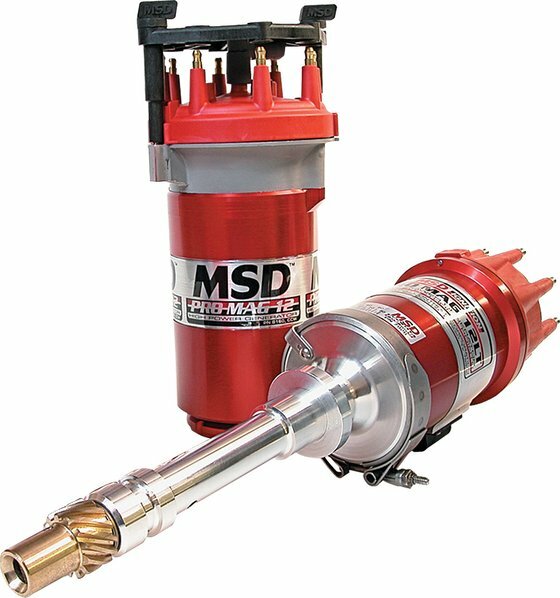 MSD is truly the epitome of performance ignition! Available for Chevrolet based engines only. 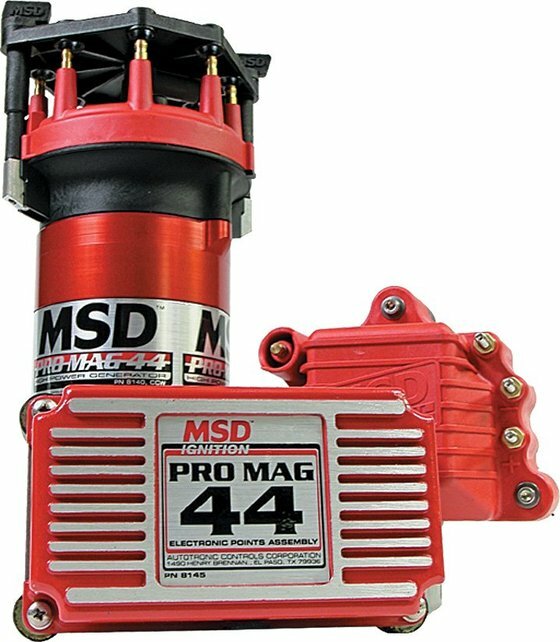 The Pro-Mag 12 is available with a band clamp mount, as well as special lightweight housings for Chevrolet engines. A separate Electronic Points Box with an integrated coil is used to handle the generator’s output, plus there is even a built-in rev control. No Points to Adjust or Replace. Magnets Never Need to be Charged. The Pro-Mag 44 is available only with a band clamp mount for clockwise or counter-clockwise rotation. 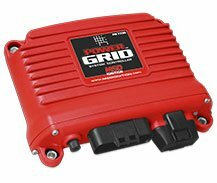 The 44-amp uses an Electronic Points Box and a severe duty coil to handle the generator’s 44 amps of primary current. 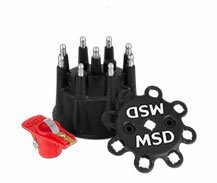 Tips and tricks for Pro-Mag systems. Below are the Pro-Mag components used in typical racing applications. If you have any questions about your exact requirements or accessories please contact our magneto experts at 915-856-2785.